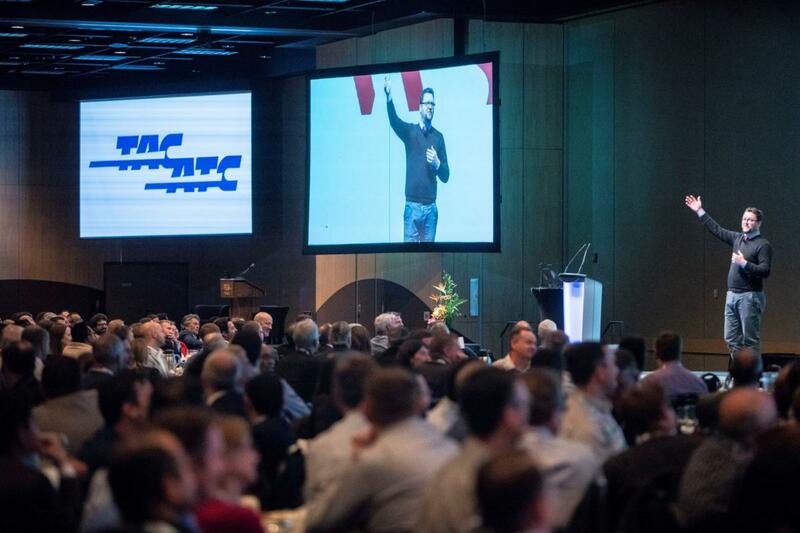 The Transportation Association of Canada (TAC) Conference and Exhibition is the largest gathering of transportation professionals in Canada; the 2018 edition attracted well over 750 delegates, and provided attendees with critical industry information and connections. The Opening Plenary set the stage for the 2018 TAC Conference with the inaugural presentation on Innovation and Technology: Evolving Transportation. We heard from industry leaders, Rory Capern, Vice President of Partnerships at Pelmorex Corporation (operator of the Weather Network), Ted Graham, Head of Open Innovation at General Motors and Scott Stewart, Chief Executive Officer at IBI Group, who shared their insights on disruptive technologies and the different influences at play in the transportation industry, such as economic factors, transportation-specific issues, and developing technologies. Delegates attending the Welcome Reception had the opportunity to meet and network with some of the top companies and leaders in the transportation sector for the opening of the W.H. Yeates Exhibition. Insightful conversations with visitors and lively exchanges with business partners or potential collaborators were had between delegates and exhibitors during the 2.5 days of the Exhibition. 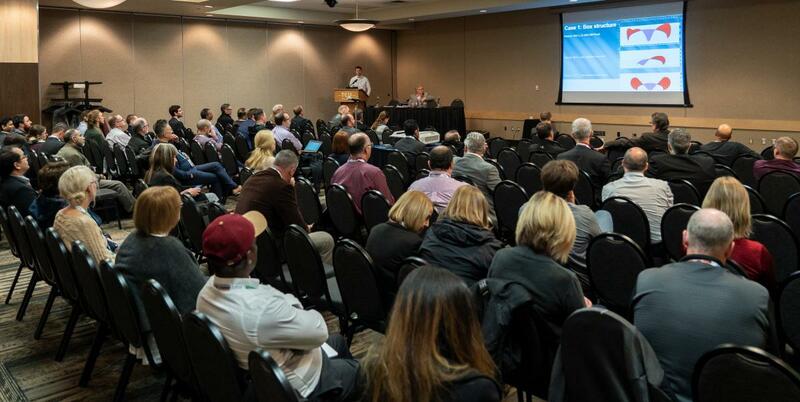 The technical tours gave delegates a chance to see and learn about Saskatoon’s evolving transportation infrastructure, while the technical presentations, panel discussions and workshops covered a broad range of expertise, projects and innovations. The opportunity to hear about the successes and challenges of every project and experience highlighted in the presentations provided learning opportunities for all of us. TAC hosted its Annual General Meeting on October 2, 2018. 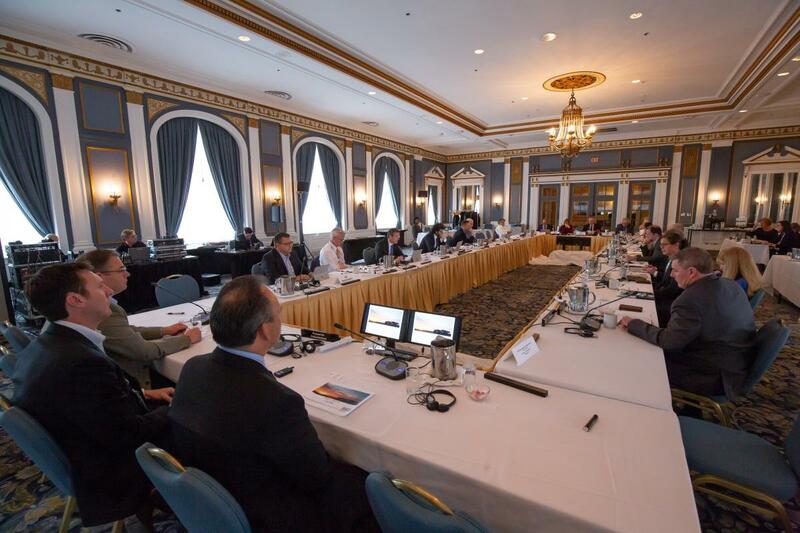 The meeting saw the appointment of new TAC President, Barry Day of Alberta Transportation, and the election of several new Directors. The Town Hall held as part of the AGM gave key volunteers the chance to highlight milestones achieved in 2017-18, including the release of the new edition of the Geometric Design Guide for Canadian Roads and a new strategic plan for the Association. It also provided members a forum to ask questions about current and upcoming priorities and initiatives. TAC’s volunteer committees also met in Saskatoon. Committees addressed critical topics, heard from guest speakers, established recommendations and brought interest and attention to transportation-related issues and initiatives. The Regional Municipality of York was presented the Environmental Achievement Award for its ‘2nd Concession Project’. The Ville de Montréal received the Sustainable Urban Transportation Award which recognized the redeveloping of the Bonaventure Highway as an Urban Boulevard. The British Columbia Institute of Technology (BCIT) was presented with the Educational Achievement Award for its Virtual Automotive Engine. 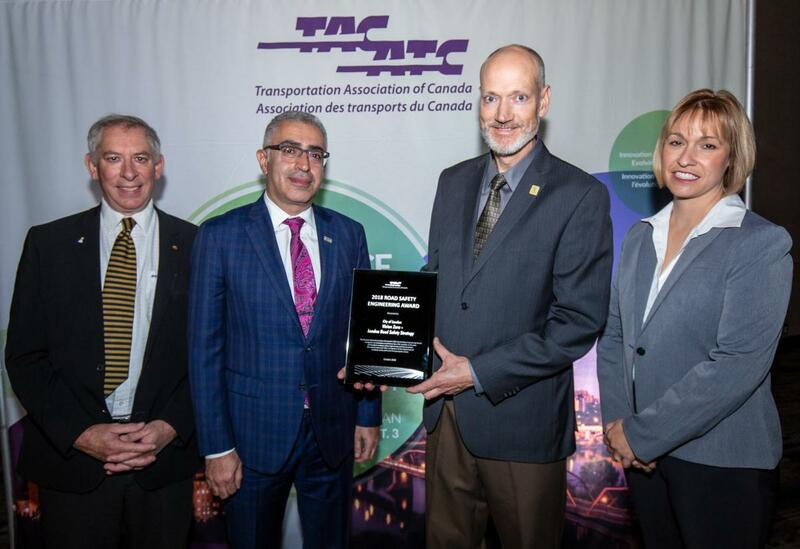 The Road Safety Engineering Award was given to two organizations; SNC-Lavalin for its Safety Swing Arm, preventing Collisions with snow plows; and the City of London for its Vision Zero – London Road Safety Strategy. TAC also recognized the contributions and commitment of our dedicated members and volunteers through the Member Recognition Awards. Nine dedicated volunteers were acknowledged as having completed their terms as Chair of a TAC committee: Ania Anthony, Soils and Materials Standing Committee; Len Frass, Maintenance and Construction Standing Committee; Alf Guebert, Traffic Operations and Management Standing Committee, Clark Gunter, Integrated Committee on Climate Change; Chris Haines, Structures Standing Committee; Dawn Irish, Environmental Advisory and Legislation Standing Committee; Shauna Lehmann, Environmental Issues Management Standing Committee; Tamim Raad, Transportation Finance Standing Committee; and Mark Stout, Sustainable Transportation Standing Committee. We also recognized another person who had wrapped up their term as Chair to a project steering committee, Kenedee Ludwar, Wider Pavement Markings for Standard Applications Project Steering Committee. The Award of Merit was bestowed on two outgoing Council Charis, Dirk Nyland, Chief Engineers’ Council and Maureen Van Ravens, Small Municipalities Task Force. 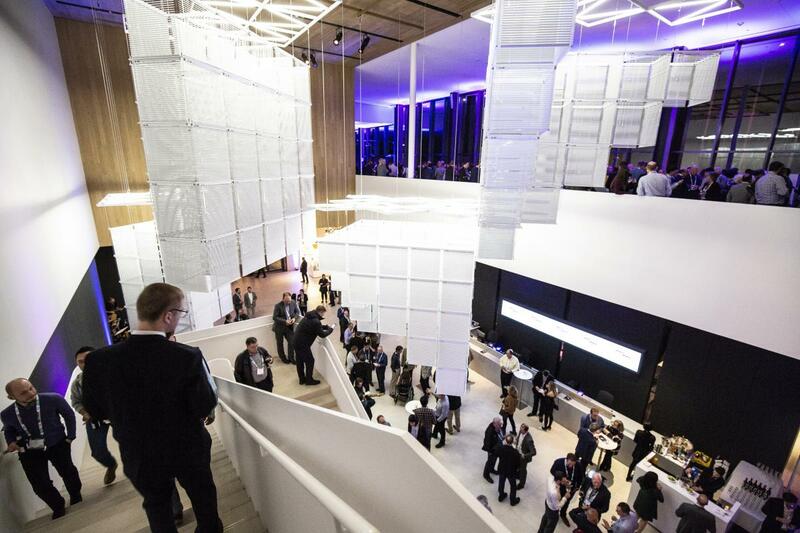 With its exception permanent collections, special exhibitions and dramatic public areas delegates enjoyed a ‘modern’ experience during the Monday Night event at the Remai Modern museum of contemporary arts. On Tuesday, the TAC Conference welcomed high school and post-secondary students for a special day of events hosted by TAC’s Education and Human Resources Development Council (EHRDC) and supported by the TAC Foundation. TAC also recognized and awarded the TAC Student Paper Award winners during the Tuesday lunch. Congratulations to Eskedil Melese, first place winner, for his paper entitled, Effects of Blended Cements on Strength and Durability of Full Depth Reclaimed Pavement Materials. Tuesday’s lunch also introduced the Company Pitch Competition where four companies took to the stage to deliver engaging 90-second presentations on an innovative product or service and competed for the best presentation. Terezinha Hignett representing Brisk Synergies took the win! 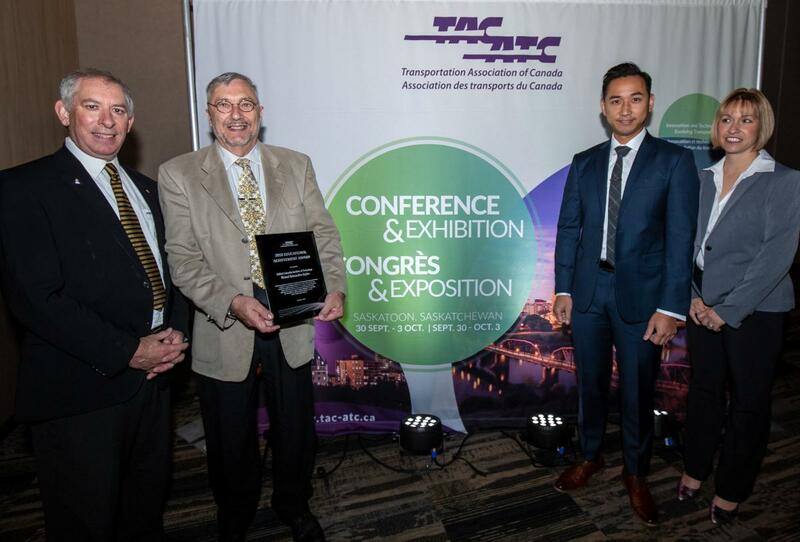 During Wednesday’s lunch, TAC honoured some of the most dedicated leaders and individuals who, over the last year, have shown a real passion for the transportation industry and who have made valuable contributions to the development of transportation in Canada. 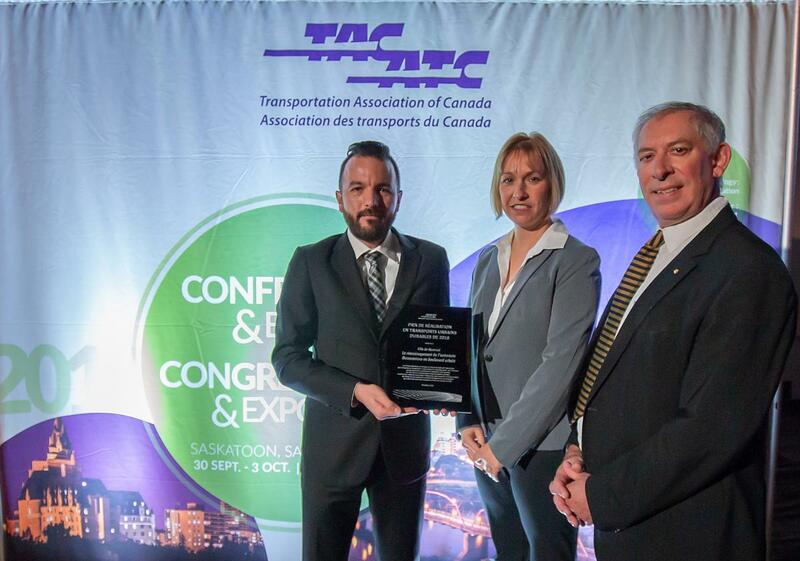 Dr. Paul LaFleche was recognized with the Honorary Life Membership for his leadership and guidance of the Association during his term as TAC President. 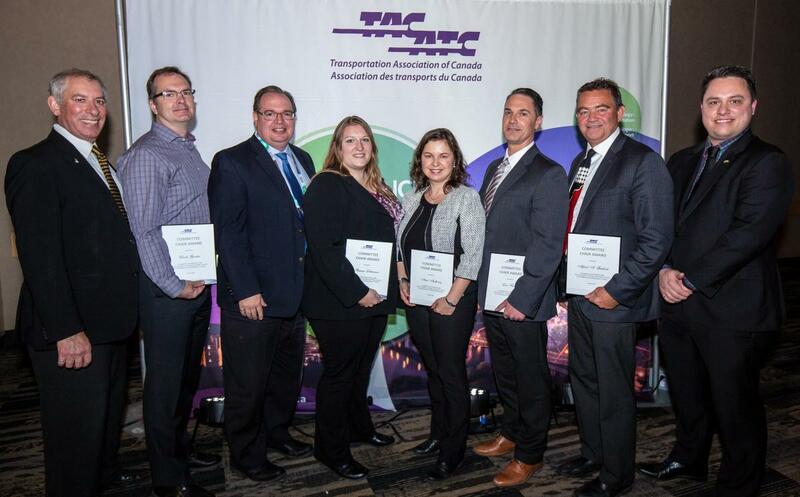 TAC also presented seven recipients with the Distinguished Service Award for their exceptional long-term contributions to the Association and to the transportation sector. 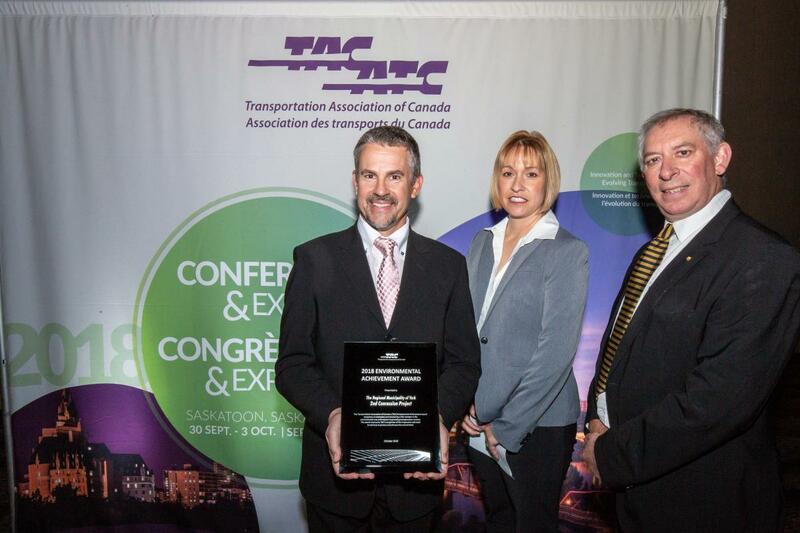 TAC’s first recipient was Barry Belcourt for his contributions to the organization which spans over two decades. The next recipient was Darren Carter for his active role serving on Association’s Councils and Committees. Cindy Lucas was also recognized for her participation serving as chair of the Education and Human Resources Development Council and as a member of the Board of the TAC Foundation. The next recipient was David Duncan who has been an active member and supporter of TAC, serving different Councils and Committees. TAC was please to also recognize Geoff Millen for his contributions to TAC and to Geometric Design; Geoff was the Technical Director and Principal Author on TAC publications such as the recently-released 2017 edition of the Geometric Design Guide for Canadian Roads. Sarah O’Keefe was recognized for her work with TAC and her involvement with Environment Council and its standing committees. The final honouree was Michael Skene for involvement in numerous TAC initiatives including chairing the project steering committees that led to the development of the 1998 Canadian Guide to Neighbourhood Traffic Calming. 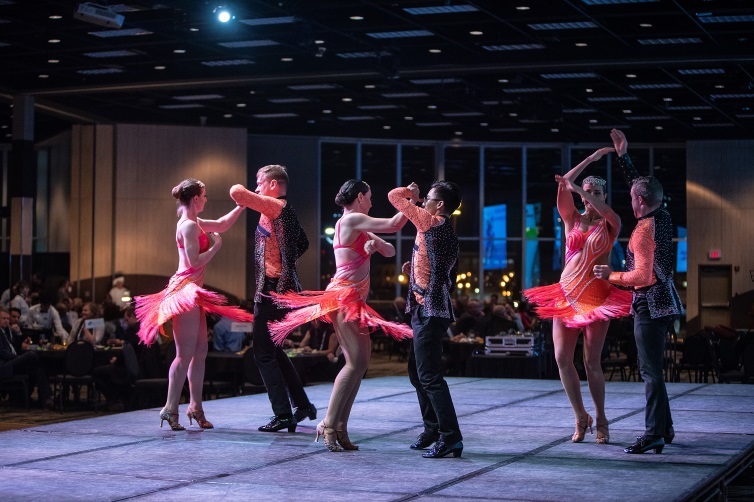 As the Conference came to an end, delegates celebrated with friends, colleagues and new acquaintances in the intimate lounge-style closing dinner party which offered a variety of food and entertainment. 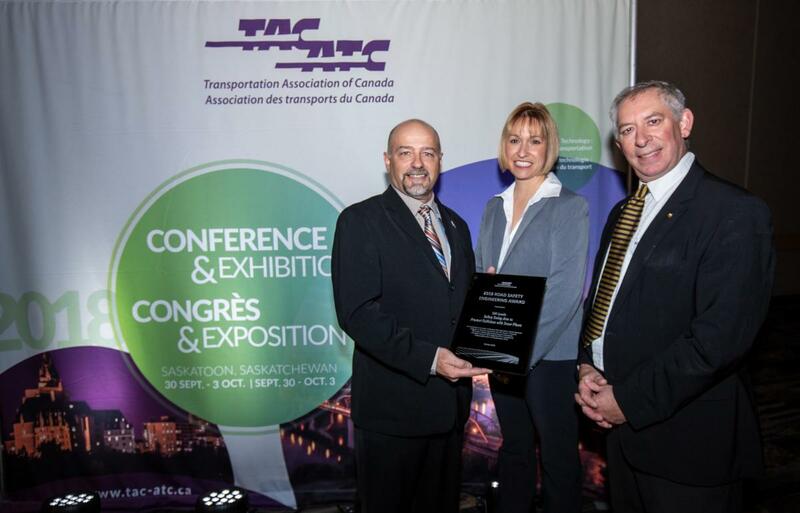 The TAC Conference & Exhibition has become one of the keystone transportation conferences of the year. The transportation industry, and its members, are stronger when we share knowledge, ask tough questions, and grow together as professionals. 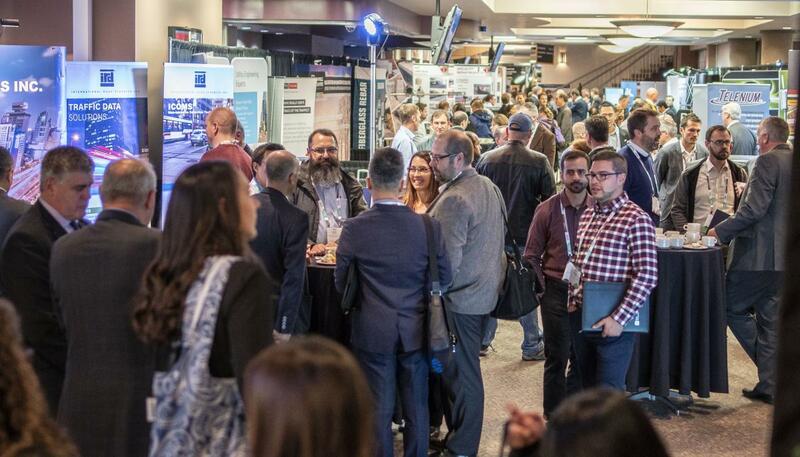 TAC and Intelligent Transportation Systems Society of Canada (ITSC) are pleased to announce that the two organizations will deliver a joint Conference in 2019. 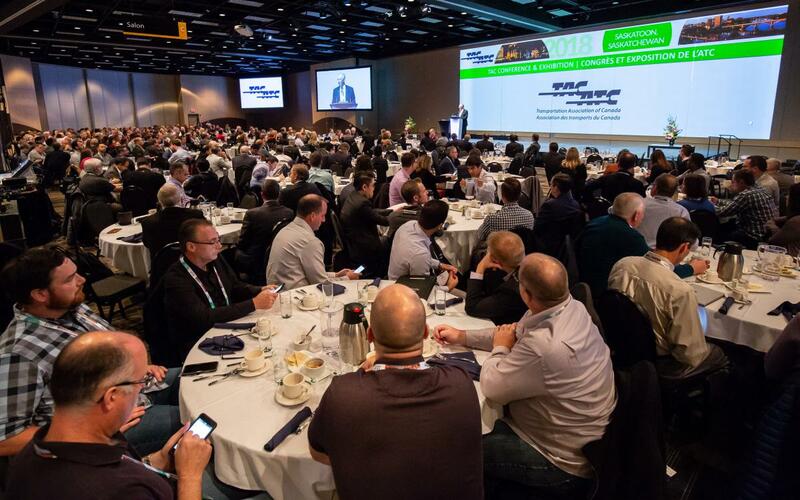 The 2019 Joint Conference will include more presentation in key topic areas that address safety, mobility and technology; a larger exhibition of key transportation suppliers and services; more opportunity to network with a broad group of transportation professionals and organizations. 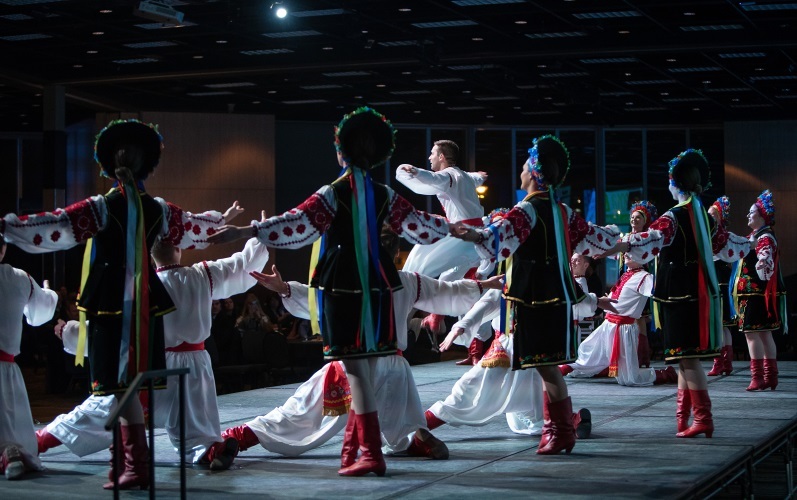 Learn more about the 2019 TAC-ITSC Conference & Exhibition, www.tac-its.ca.